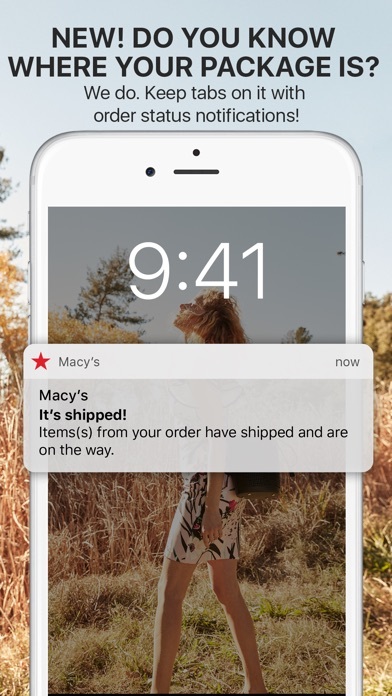 The latest version of the Macy’s iPhone app is better than ever! 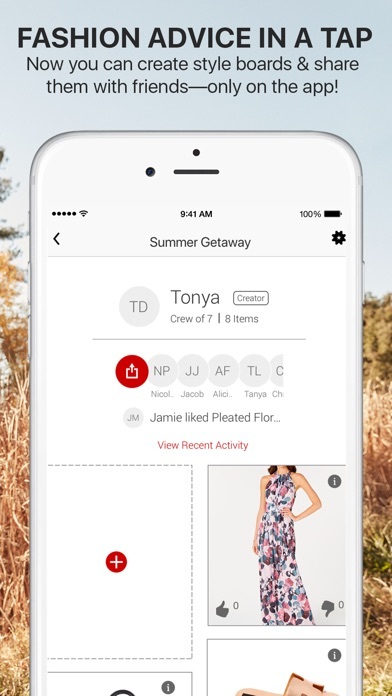 Whether you’re shopping styles for him & her or kids, shoes, handbags, for the home & more, use the Macy’s app to shop our entire site—anytime, anywhere. 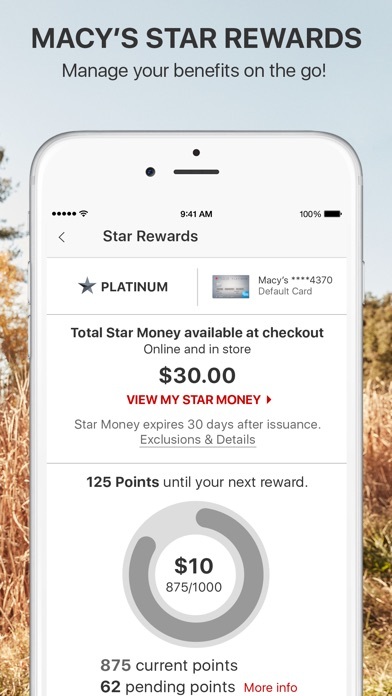 Don’t forget to manage your Star Rewards account on the go so you can take advantage of special offers, in-store savings and more! Plus, check prices with our smart scan feature, stay organized with Lists & use our photo-based Snap & Shop feature to find what you’re looking for instantly. NEW APP USERS GET AN EXTRA 25% OFF THEIR FIRST APP ORDER! Just download the Macy’s app & sign in or create an account to get your discount. Exclusions apply. - Enable notifications for order updates, early access to new collections & exclusive deals. - See furniture in your space virtually before you buy! - Snap a pic of something you’d like to shop & find it or something similar. - Check out faster with Scan & Pay—just scan items in store, pay on the spot & go! - Scan bar codes to check prices, read reviews and see more colors & sizes—even order online! - Get easy access to store events, weekly catalogs, your store’s directory & more! - Check your available Star Money and see how close you are to your next reward! - Track your Star Rewards spend and loyalty status anytime, anywhere. - Easily check your account balance. - Schedule & make payments right from the app! - Find all your Macy’s offers, all in one place. Use them online & in-store. - Check out faster with the best offer, every time. - Manage your payment info in a secure spot. - Collect your faves in one place! Just tap “Add to List.” You can create a list for every occasion! - Get alerts whenever the price drops on one of your items! - Make a style board for any occasion, share it with friends & get their feedback! - Now you can create style boards & share them with friends—only on the app! Hey, New Yorkers! Upgrade your Macy's app now for the best in-store shopping experience at Macy's Herald Square. We improved the scanning feature on our app! - You’ll love this: now you can scan items in-store to check their availability in more colors & sizes and at other nearby stores! A pretty great addition, if we do say so ourselves. - Don’t forget, you can still scan in-store picks to check prices, read reviews from other shoppers and add gifts to your registry! Who wants to play hooky and head to Macy’s? - Small iOS 7 fixes & updates for better performance. 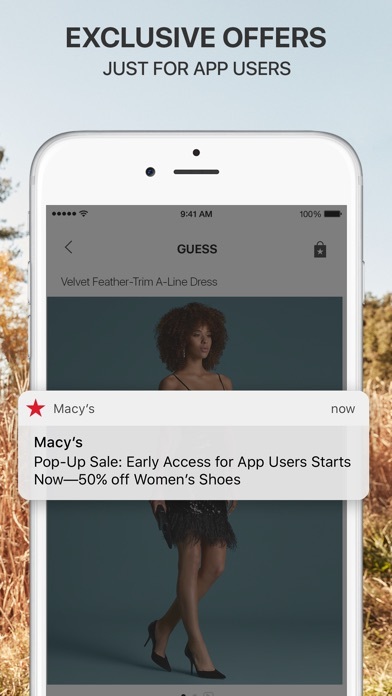 Download the Macy's App and Play Macy’s Match & Win Game: from now until Oct. 5, open the Macy’s app and you could instantly win a $10, $50, $100 or $500 Macy’s Digital Gift Card! Plus, you can come back to play every day. How cool is that? *NO PURCHASE NECESSARY. For Official Rules, including alternate method of entry visit macys.com/apptowin. - We redesigned our Special Offers page! Now, it’s faster to navigate the latest deals & share them with friends on email, Google+, Facebook & Twitter. - Look for the Add to Passbook button on select offers! - We updated our scanning tool, so you can continue to smoothly check prices or add registry items in-store. - Plus, we've made other defect fixes: smooth shopping ahead! –Defect fixes for an even better experience. -We’ve squashed a big bug! You can now search seamlessly: we fixed the issue with the back button bringing you to the beginning of your search results. It will now bring you back to the last search results page you viewed. How great is that? - A newly-designed shop screen & revised home screen make it easier than ever to navigate the app and shop incredible finds in the department of your choice. - iPhone 5 support. Woo-hoo! - A redesigned homescreen featuring an easy-to-find search bar, so you can search our entire online assortment in just one step! - Our Macy’s Black Friday feature allows you to browse Black Friday Specials while shopping in-store, as well as create personal shopping lists to share with friends. If you'd like to purchase a Special, it will help you locate it by floor and department. - Our store locator is faster than ever, featuring an easier-to-use interface, saved prior store search, auto-complete city searches & more. 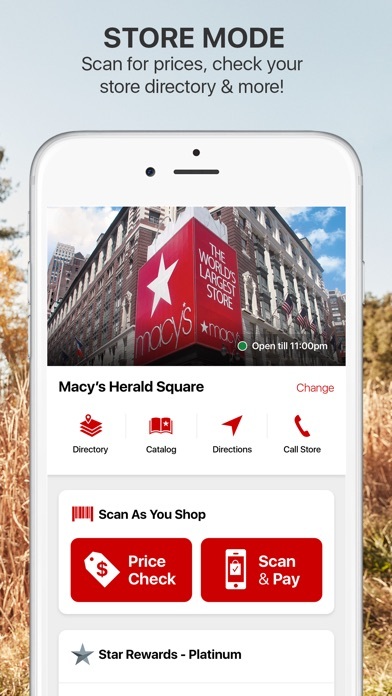 - There are now location-specific features designed to help shoppers navigate through the Macy’s Herald Square store in New York City, including an in-store map, brand & department finder, event calendar and more! • Store Navigation: New map tool provides easy directions inside the Macy’s Herald Square store, whether it’s to your favorite department or the nearest restroom. • Brand/Dept. Finder: Quickly search for brands you love & where to find them at Macy’s Herald Square. • Event Calendar: Add daily Herald Square store happenings to your calendar & check in on Facebook. • Where to Eat: Macy’s Herald Square restaurant map with full menu listings lead you to a bite on the go or a full sit-down meal. Have a Loyalty ID number? You can now add it to your iShop profile and shop with it! Watch your rewards add up with every purchase you make and get in-store & online discounts on your phone! It’s now quick & easy to apply single-use promo codes as you’re shopping on the go! We’ve made shopping for products even easier with a sleek, new product page redesign, so you can access all the information you need on one page! Plus, we’ve added dynamic, clickable color swatches to the More Views & Colors page. We’ve worked around the clock to tweak & tune iShop, and it’s now performing better than ever with fewer crashes and increased stability! category navigation, so you can get to the products you want faster. what you want to shop. home screen in one quick click. it’s now performing better than ever with increased stability! SHOP, FIND A STORE & GET SAVINGS PASSES! store savings pass quickly & conveniently from the home screen! Quickly and easily access new features, current promotions and special offers right from the homepage. A faster way to get to the categories you want to shop. A fun, interactive way to find the perfect gift for mom: take the gift quiz, browse by price or shop by mom’s personality! This releases significantly improves overall stability and fixes various minor bugs. This release significantly improves overall stability and fixes various minor bugs. Overall this apps works very well and makes it easier to find deals and shopping your area if you don't want to purchase online. However you can through this app as well. My only issue is it takes a while to load and sometimes you have to reload, so once it's loaded keep it open if needed. I like this app. It's easy to use and very convenient. It doesn't get much easier to shop than this! Sometimes I forget there's a sale or don't have time to go to the store but I can now shop over the phone. It's great.